Headed to Las Vegas? 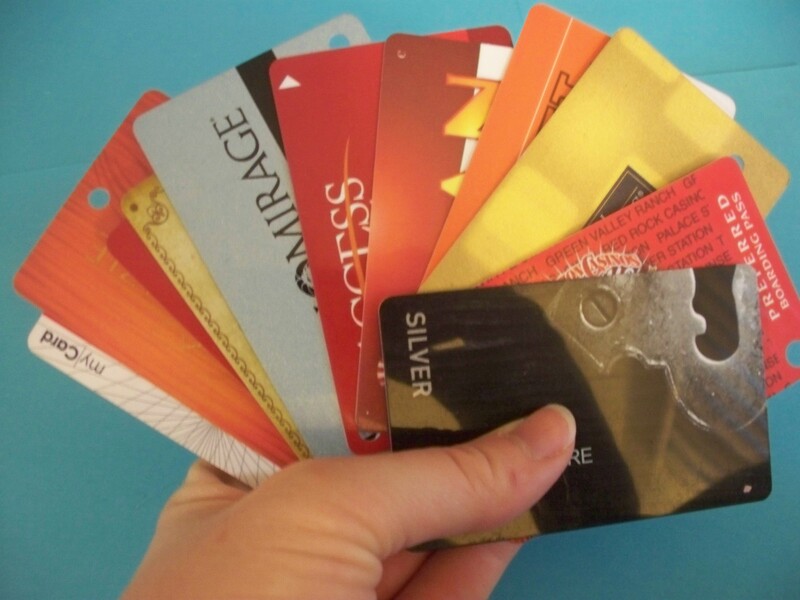 Don’t even think about heading to the buffet, blackjack table or bar before getting yourself a player’s card. Player’s cards allow you to get all those Vegas comps and freebies that you always hear people bragging about. Every casino or casino family dispenses (free) cards akin to the kind of cards you get at grocery stores to get the advertised sale prices. Cards are inserted into slot machines, recorded at tables, swiped at buffets, and noted at check-in. Once you rack up enough points, the casino in question will start sending you free passes to restaurants and money for slot play. For big spenders, rooms and poolside cabanas are offered. Cards are important for the non-gamblers (an ever-increasing group of Vegas tourists) as well. When you first sign up for the card it often comes pre-loaded with $10 of free slot play. I always head to a penny machine, place a bet and cash out my $9.99. Signing up for a card also ensures a place on the casino’s emailing list so all the best deals on rooms and restaurants will be sent your way. The card to have nowadays is the Identity player’s card from the new Cosmopolitan hotel. Without gambling a dime on the casino floor, I received an email shortly after signing up for the card advertising free wine tastings on Thursdays and free Around-the-World menu tastings every other Tuesday in May. The tastings are excellent, and I’ve always gone home full. Yesterday’s free meal consisted of Chinese style couscous, a sausage encased in a flaky strudel-like shell, sweet-potato mini cakes, fried trout, and a strawberry-topped cheesecake square. Or in my case, three strawberry-topped cheesecake squares. And three drinks. The green tea-lavender-gin concoction wasn’t really my thing, but who’s complaining when it’s free? So whether you’ve come to Vegas to eat, play, drink, or gamble, leave that credit card at home and replace the empty slot in your wallet with a new player’s card.